Limestone funerary relief of Tadmur, wife of Mokimu. The deceased is shown in typical Palmyran dress with a diadem. 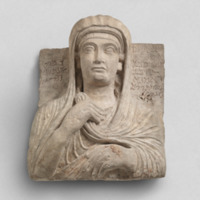 Interestingly, unlike many other Palmyran portraits, she wears no other jewelry and holds only her robe (in her right hand). The features and hairstyle are otherwise typical of Palmyrene portraiture. Funerary portrait in local limestone, showing the deceased in typical, Palmyrene garb. An inscription names the deceased, her husband and the date of her death. Upper left and right, relief background. Palmyra. Acquired 1902 in New York. 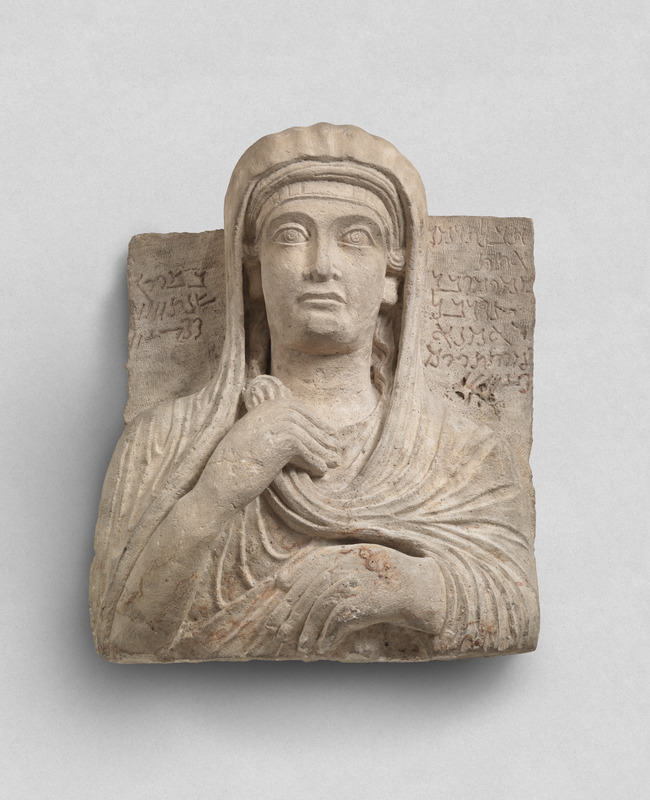 “Funerary relief of Tadmur, from Palmyra (PAL0104),” WIRE: Women in the Roman East Project, accessed April 24, 2019, http://www.wireproject.org/items/show/80.